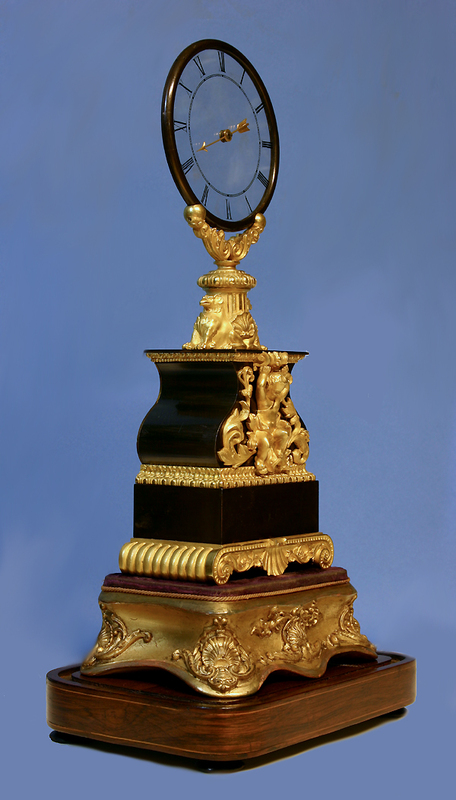 c.1839 French Glass Dial Mystery Clock, Robert-Houdin, No. 28. 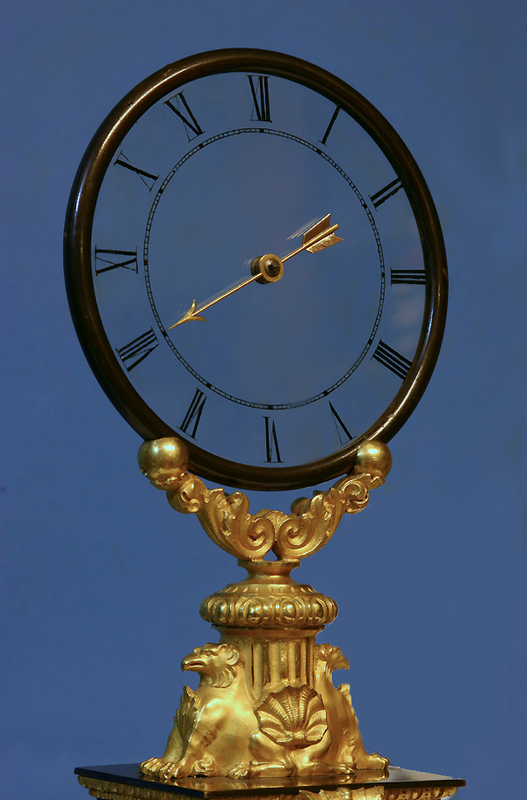 A very early ormolu and patinated-bronze Series II glass dial mystery clock by Robert-Houdin numbered ’28’ with the original gilt and rosewood stands. 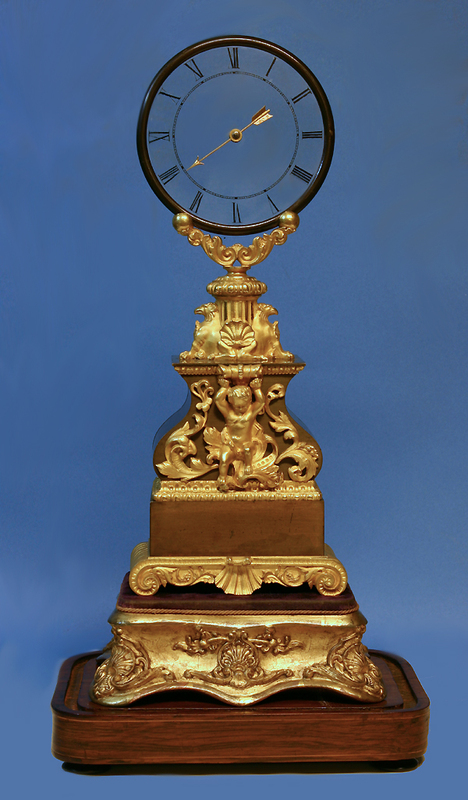 The waisted case has a scrolled and reeded ormolu base, a cherub supporting a cartouche flanked by scrolling foliage and two opposing Griffiths above that support the dial. The case is stamped in several interior surfaces ’28’ and is stamped on the back ‘Brevet d’Invention’. 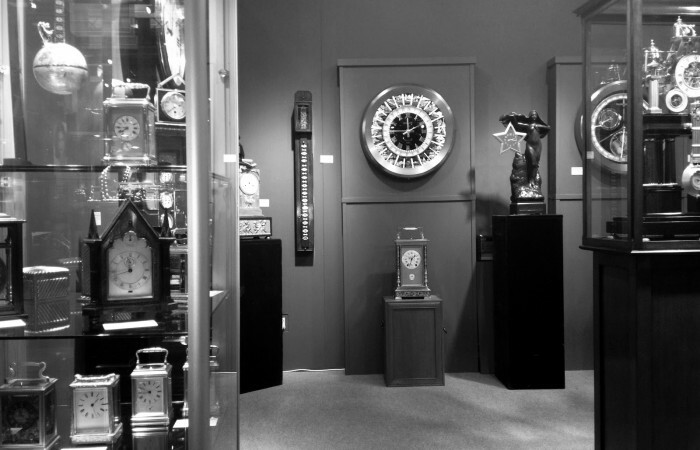 The clock rests on a decorative felt covered carved gilt-wood stand and the whole stands on an inlaid rosewood base.